When you think Dose of Colors, you think lip products, no? We kind of do, too. But not anymore! Feast your eyes on these beauties! We’re swooning! Dose of Colors is releasing the warm Baked Browns & the cool Marvelous Mauves eyeshadow palettes on Wednesday, 3.15 @ 10 am PST/ 1 pm EST! They’ll retail for $32 each. 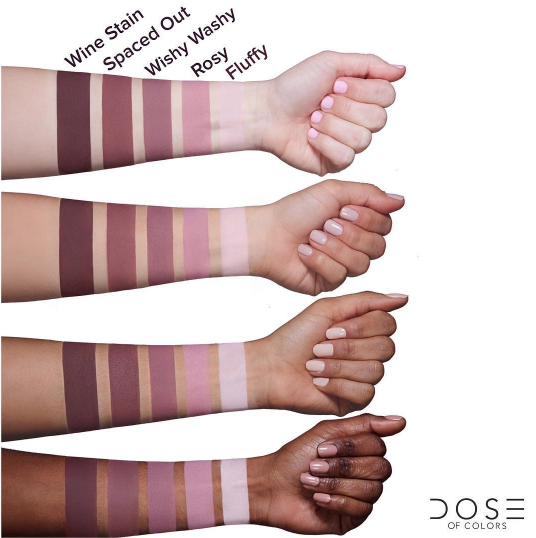 The creators at Dose chose 5 perfectly paired, super pigmented shades to bring us palettes we can use everyday! And of course, they’re cruelty-free, paraben-free & talc-free. Who doesn’t love that?! 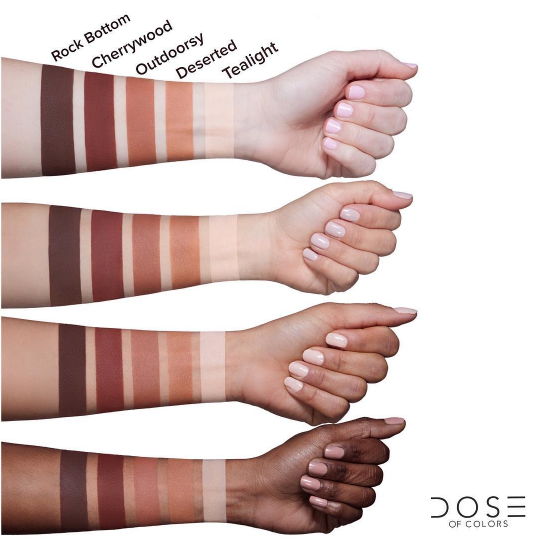 Now, you’ve GOT to see these swatches – we have both swatches for the Marvelous Mauves palette so far (which we can already tell is going to be our favorite!) but we will be sure to share the Browns asap! Can you even breathe right now?! These are by far our favorite types of shades – purples & plums & soft pinks are PERFECTION! We are drawn to these more than any other color combination – plus, they’re super flattering for most eye colors. They’re clearly incredibly pigmented, buttery, creamy & MATTE! Is this not the most perfect spring transition palette?! Imagine the cool, soft looks AND the smokey eyes that could come from this beauty… the possibilities are endless! Of course, the only downside is that some may not see this as an all-in-one palette. Many of us look for at least one shimmery shade to top off the lid with so we may need to dip into another palette or single shade before we’re out the door. But for this palette, we’ll make the sacrifice. It’s too gorgeous!! Omg right?! I can’t believe how creamy & opaque they look! totally! Which one do you like better?? I am loooving the mauves so much! !